A BRAIN injury survivor has welcomed the launch of a new ID card initiative to help vulnerable adults living with the effects of brain injuries in Northern Ireland. 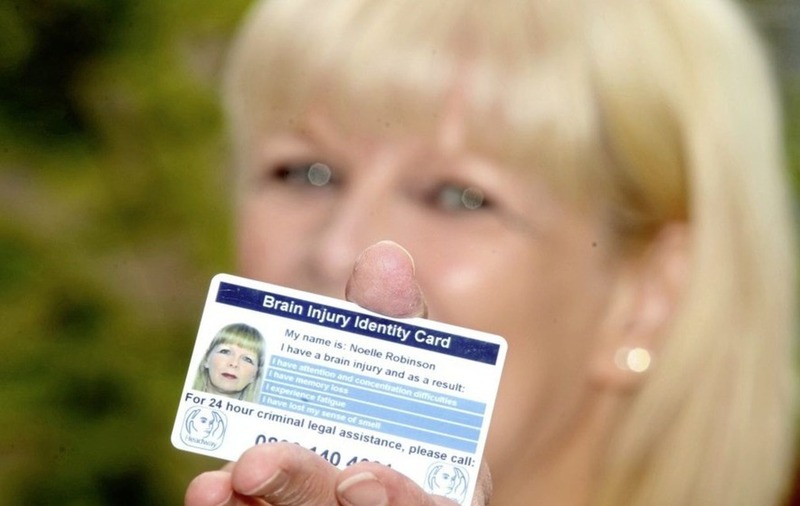 The Brain Injury Identity Card is designed to help police identify survivors at the earliest opportunity, ensuring they receive suitable support and are diverted away from the criminal justice system where appropriate. It was launched yesterday by brain injury charity Headway and endorsed by the PSNI, Public Prosecution Service and NI Appropriate Adult Scheme. Noelle Robinson (59) from Newtownards sustained a brain injury in 2011 from a ruptured aneurysm, leaving her with problems including aphasia, fatigue and memory issues. "At times, people can be very impatient with me especially if I am trying to communicate with them and having one of my 'cloudy' moments," she said. "I often struggle to get the right word out - particularly if I am being rushed or I'm struggling with fatigue, which is not uncommon after brain injury. "It is not helped by the fact that my injury is invisible and often people struggle to understand why I may appear a little 'woolly' at times. I may appear a little daft to them. "For this reason, I really love having my ID card with me at all times." 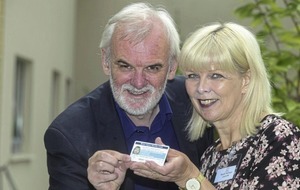 Ms Robinson, a councillor on Ards and North Down Borough Council, said she finds carrying the card reassures her. "Those who know me well don't need to have sight of my card, but for anyone new, or if I'm in a potentially stressful situation, the card is invaluable in helping them understand," she said. "Knowing it is there really gives me a lot more confidence. "I keep it in my wallet and I know it's there if I need to show it. It gives me peace of mind." Peter McCabe of Headway said the "widely misunderstood effects of brain injury can often lead to difficulties for survivors in their everyday lives". "Many people are assumed to be drunk as a result of having slurred speech or an unsteady gait, with attempts to explain the effects of their brain injury often in vain," he said. 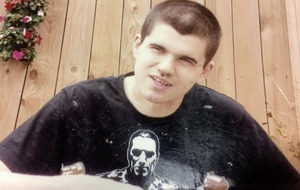 "Sadly, this can lead to brain injury survivors being arrested as a result of their disabilities not being recognised. "This card helps police to quickly identify brain injury survivors, saving precious resources and enabling front-line staff to provide appropriate support." PSNI assistant chief constable Alan Todd said: "The card will help to ensure that our police officers and custody sergeants can identify brain injury survivors at the earliest opportunity. 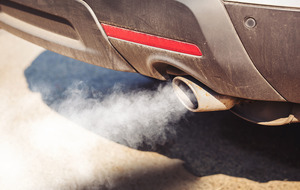 "This will not only save valuable and limited resources in many cases, but more importantly will ensure vulnerable adults are given the correct support for their often complex and fluctuating symptoms."